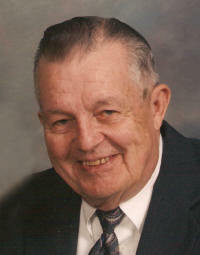 Francis G. Lechner, 79, of Trenton, died Tuesday, January 6, 2009 at St. Joseph Hospital in Breese. Mr. Lechner was born November 26, 1929 in Nebraska City, NE to Theodore A. and Agnes (Kuhlman) Lechner; they preceded him in death. Also preceded in death by a sister, Marie Koeppel, brothers, Kenny, Erv, Clete, Leo, Edward, Bill, and Leonard Lechner; father-in-law and mother-in-law, Edward and Philomena (Huelsmann) Kniepmann; sisters-in-law, Mary Hammer, Teresa Kniepmann, and Norine Kniepmann; brothers-in-law, Joe Kniepman, Ed Kniepmann, Al Hammer, Owen Brendel, Orville Litteken, Clinton “Mick” Bellm, and Edgar Liening. He married Bernadette Kniepmann on September 10, 1955 at St. Mary Catholic Church in Trenton; she survives in Trenton. Also surviving are his children, Larry Lechner of Trenton, Pat (Tom) Ritzheimer of Trenton, Donna (Brian) Chandler of Manchester, MO, Lisa (Allen Rohner) Lechner of Shiloh, IL, and Barb (Rob) Watson of Springfield, IL. 10 Grandchildren-Jennifer, Michelle, and Ryan Lechner, Jim and Paul Ritzheimer, Brittany, Sarah, and Nick Chandler, Beverley and Amanda Watson. Sisters, Evelyn Hager of Ragland, AL, Elsie Hicks of Omaha, NE, and Lorine Hespen of Syracuse, NE. Sisters-in-law and brothers-in-law, Sally Brendel of Troy, Ann Litteken of Aviston, Martha Bellm of Highland, Rose (Marvin “Bud”) Sudholt of Breese, Rita Liening of Breese, Jane (Stan) Niebur of Breese, Pat Kniepman of St. Louis, and Bea Kniepmann of Highland. Francis retired as a sheet metal worker at Scott Air Force Base and was an Air Force Veteran of the Korean Conflict. He was a member of St. Mary Church, Past Treasurer of the Trenton Knights of Columbus Council 2932, Past Commander of the Trenton American Legion Post 778, Trenton VFW 7983, and Disabled War Veterans. Funeral Mass of Christian Burial will be Saturday, January 10, 2009 at 10:00 AM at St. Mary Catholic Church in Trenton with Fr. Gene Kreher officiating. Interment will be in St. Mary Cemetery with full military honors accorded. Visitation will be Friday, January 9, 2009 from 4:00-8:00 PM and again on Saturday, January 10, 2009 from 8:00-9:45 AM at the Moss Funeral Home in Trenton. Memorials can be made to St. Mary Cemetery or to the donor’s choice and will be received at the funeral home.